I wish I had beautiful handwriting, but I don’t. In fact, someday my terrible handwriting is going to warrant a calligraphy class! 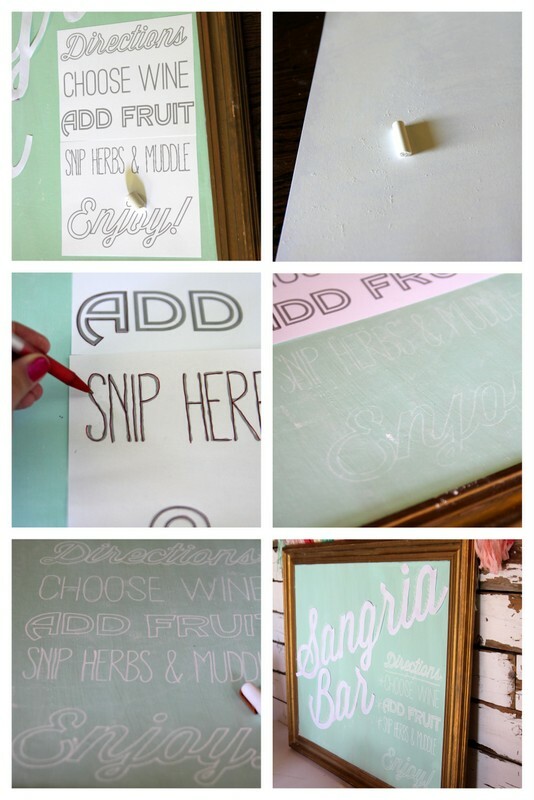 In the meantime, though, I found this amazing DIY chalkboard lettering tutorial and, I have to tell you guys, I feel like I discovered some secret stash of gems or something. 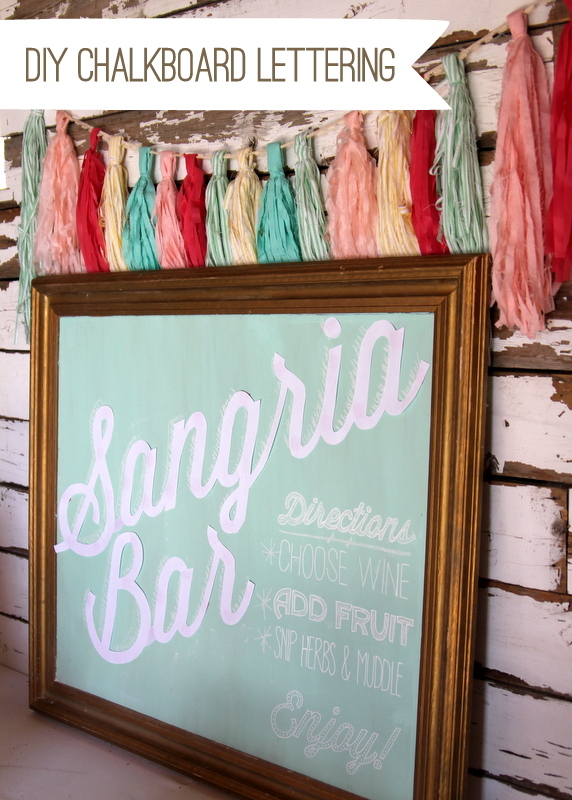 The process is so easy- and the chalkboard lettering comes out looking so fabulously amazing. For someone with terrible handwriting, this is Big! News! I did things differently than Emily (mostly because we just got a new printer and I couldn’t figure out how to print mirror images), but the totally genius chalked-paper idea is totally hers. You just print out your sign in the fonts you want (I chose several outlined words because I didn’t have much time and that seemed easiest). 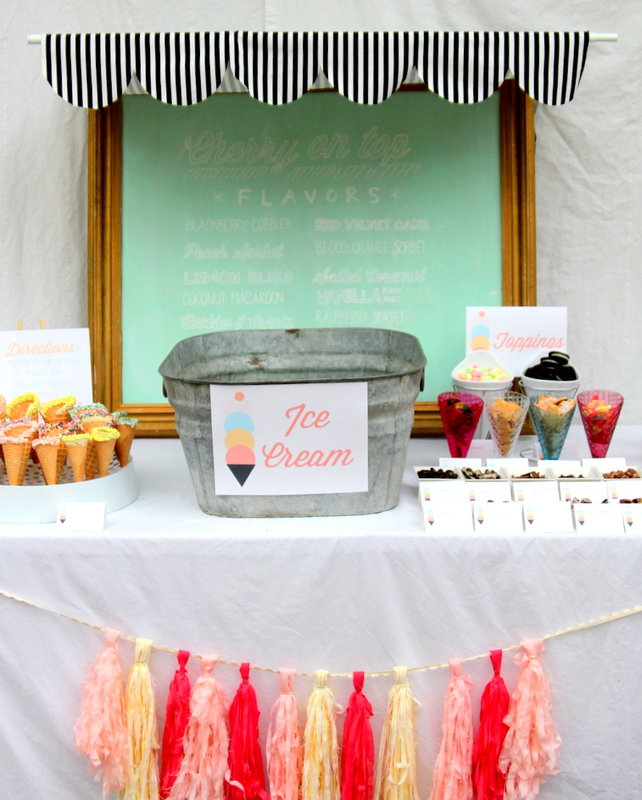 Then, you rub chalk all over the backside of your printed signs. Then you trace your sign with a pen. 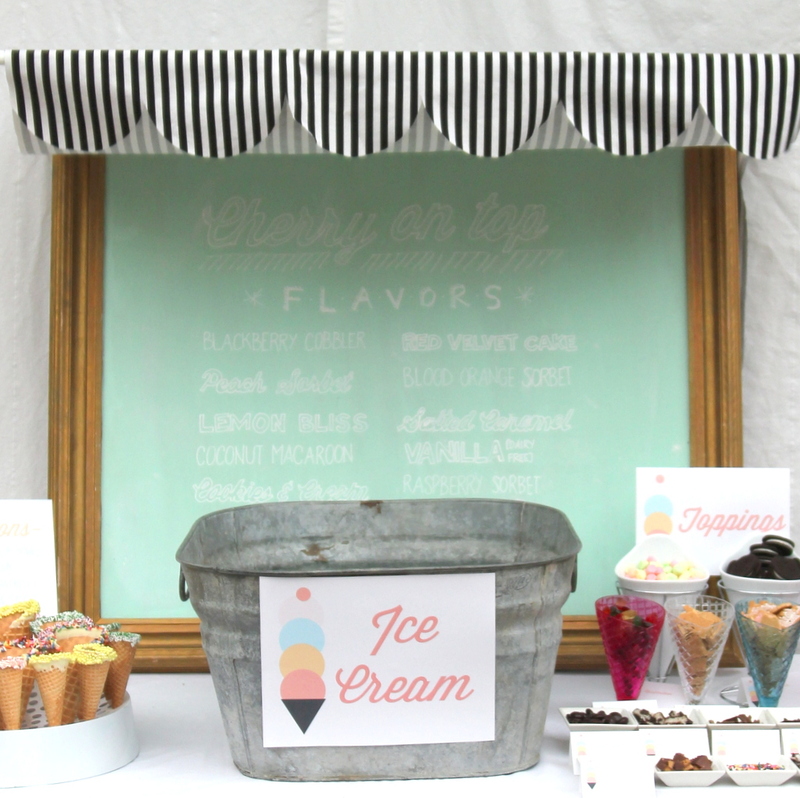 The chalk from the back makes a faint outline on the chalkboard. Trace the faint outline with a chalk pen (regular chalk would work too- I just needed this to stay put, so I opted for a chalk pen). 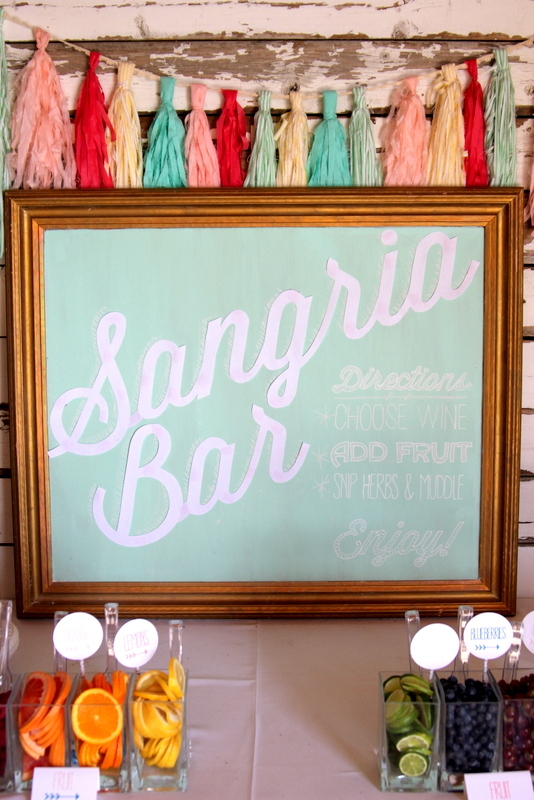 And thereyouhaveit- gorgeous lettering for the rest of us- perfect for Sangria Bar drink stations, Ice Cream parties and beyond. forgive me if you’ve posted this a zillion times, but the fringe backdrop? LOVE. how’d you make it? 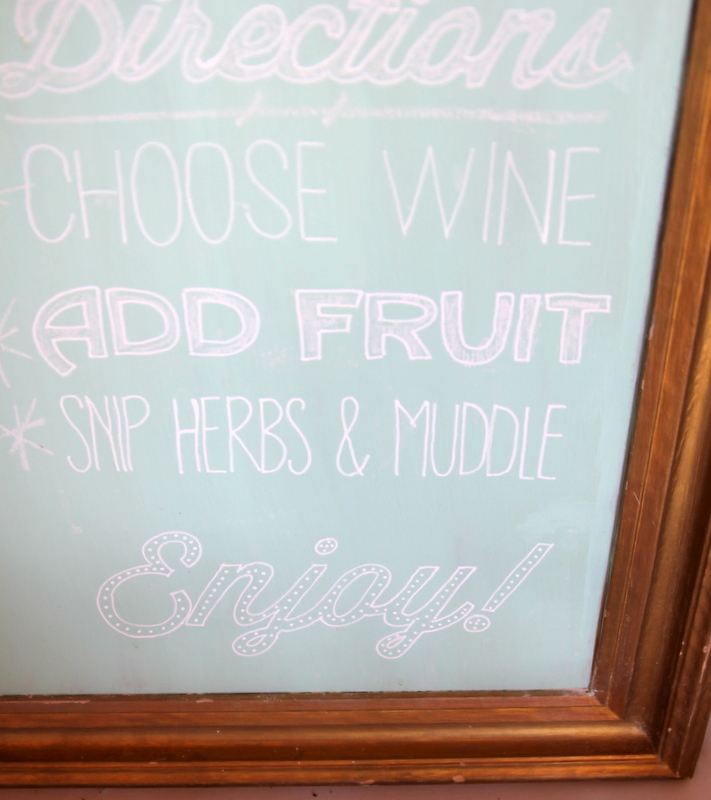 I’ve been told that a Chalk Pen helps a great deal when working on a chalkboard. Where do I find Chalk Pens? Also, can you use a chalk pen directly on a chalkboard?